Incredible Strength and Volume! 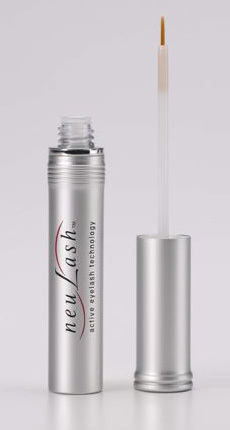 neuLash was developed with potent bioengineered polypeptides containing beneficial amino and fatty acids with renewing properties that provide effective protection against breakage and promote healthy, natural lashes. Extreme Moisture and Increased Elasticity!Sodium Hyaluronate, one of the most potent humectants, alongside Hydrolyzed Glycosaminoglycans provide extreme hydration to lashes by binding in moisture while improving elasticity and durability. Intense Nourishment and Vitality!Biotin, Panthenol and Pumpkin Seed join forces to help replenish and rejuvenate lashes with essential proteins and vitamins that provide strength, shine and enhance lashes. neulash takes 4-6 weeks to show results, but the wait is well worth it. Every night I applied the lash conditioner on top of my eyelid, hoping for magic! Well it has been 4 weeks, and not only have i noticed great results, but all my friends have as well. My lashes are thicker and fuller. Although neulash works better with continued use, my bottle will probably last me maybe one more month. You can purchase neulash on the neulash site for the price of $150. And although that may seem a bit pricey, it is less expensive then some of the more dangerous, time consuming eye lash treatments that you find at your plastic surgeons office. You can also purchase this product at Neiman Marcus. I received product for the purpose of this review only. No monetary compensation was received. All opinions are my own. This is amazing. Using this mascara would be great. I'm so pleased to read this product details.